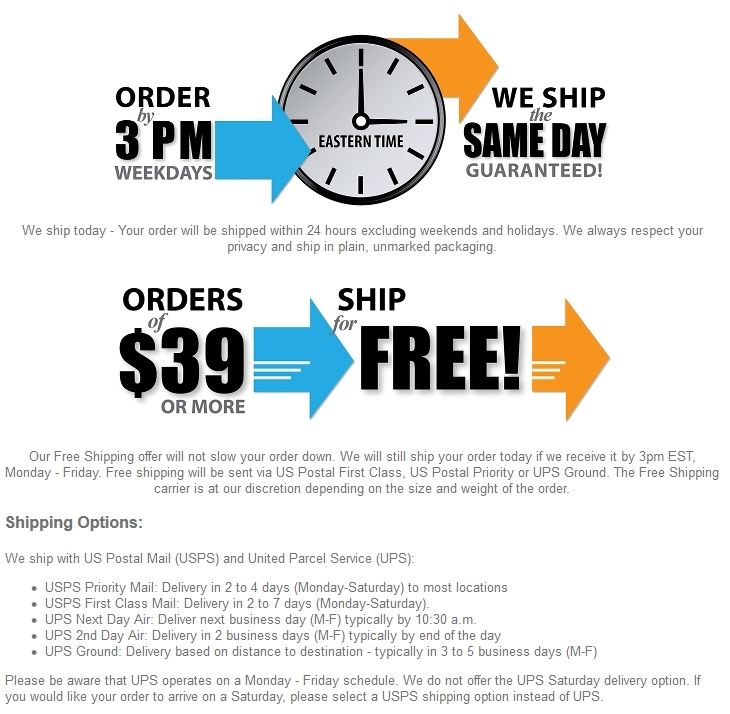 The 5 Panel Drug Test Strip is an easy to use multi-drug test that tests for some of the most commonly abused drugs in the United States, including amphetamines like Adderall. Like the 4 Panel Drug Test Strip, the 5 Panel takes only 5 minutes to produce results. Its main advantage is that it allows you to test for substances like Adderall, uppers that are used by young people for recreation and as a study aid. Adderall is a commonly abused prescription substance that people frequently obtain from friends or family. The test also conveniently detects marijuana, opiates, cocaine, and methamphetamines. Its 99% accuracy makes it a great choice for detecting drug use. Affordable Testing for Multiple Drugs - Test for each drug on the panel for less than a dollar a piece (if you buy in bulk, the price goes down even further). This is a great value compared to buying individual strips for the drugs you may be concerned about. The drugs on this test are also relatively popular. It is a good test for seeing what a teenager, for example, may or may not be doing. 1. Conduct test at room temperature and allow test card, urine specimen, and/or controls to equilibrate to room temperature prior to testing. Have urine sample ready. 2. Once taken out of the sealed pouch, use the test as soon as possible. Remove the labeled cap at the end of the card. 3. 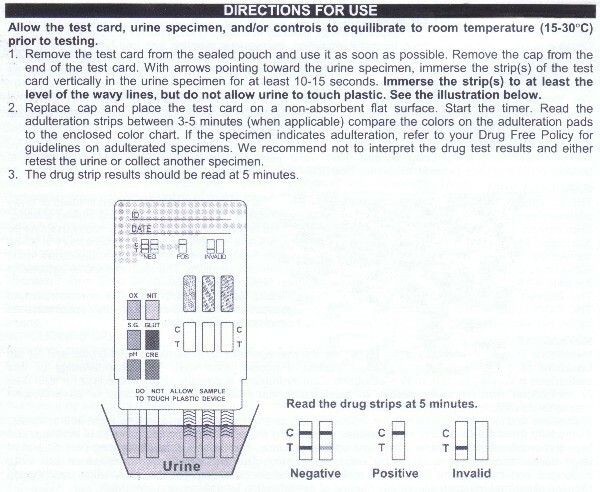 With arrows pointing to the urine specimen, immerse the strip(s) of the test card vertically into the urine specimen for at least 10-15 seconds. Immerse test to at least the level of the wavy lines on the strip(s) but NOT above the arrow(s) on the test card. Do NOT allow the plastic device/test card above the wavy lines to be touched by the urine. 4. Replace cap and place the test card on a non-absorbent flat surface. Start your timer and wait for the colored lines to appear. The results should be read at 5 minutes. Results remain stable for up to 4 hours after the start of the test.